select “7” then press ENTER. 7 Press H to start Program Play. same program again by pressing H.
You can perform Repeat Play of programmed tracks. 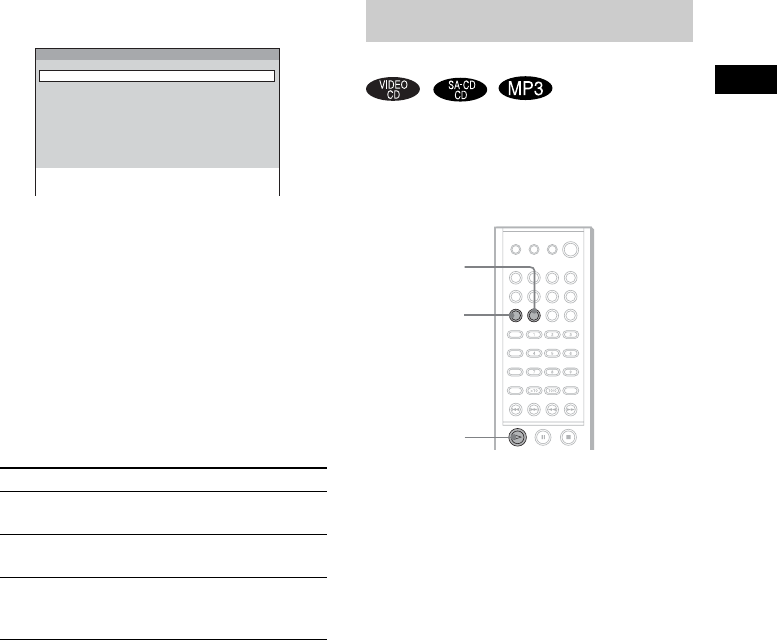 Control Menu display during Program Play (page 36). disc in a random order. all tracks in albums in random order. For details on album shuffle, see page 36.
to turn off the Program Menu.